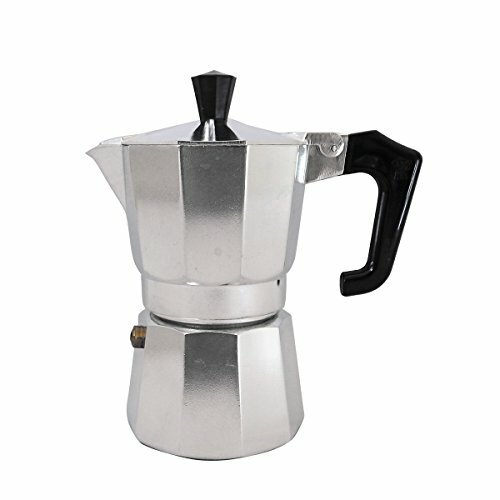 PEZZETTI household coffee-maker pot is considered a true Italian tradition. Has 8-sided shape that allows it to diffuse heat perfectly to enhance the aroma of the coffee. 1) Fill up the base with water. 2) Fill the coffee funnel with selected ground coffee. 3) Put it on gas stove, electric plate or heat ring. 4) The coffee will appear at the upper part - A soft whistle will announce its coming. * To wash simply rinse in warm soapy water and dry. -> Cups of espresso in just 4 to 5 minutes. -> Making rich, authentic espresso at home. -> A smooth aromatic full flavor coffee every time! 8-sided shape that allows it to diffuse heat perfectly to enhance the aroma of the coffee. Cups of espresso in just 4 to 5 minutes. Making rich, authentic full flavor espresso coffee at home the Italian way. If you have any questions about this product by Pezzetti, contact us by completing and submitting the form below. If you are looking for a specif part number, please include it with your message.